Help when You, a friend or loved one is going through a tough time in your life. The information on these pages are aimed to provide information if you, a friend or loved one is going through a tough time in your life. The following links provide tips to help work through your issues and emotions. 1. Connect with others. Research suggests that social connection fights stress, promotes health and can lengthen one’s life. To connect with others try to create new ties, strengthen existing relationships and join support groups. 2. Stay positive. Research suggests that thinking negatively can affect mood, actions and health. You can stay positive by fostering optimism, practicing gratitude and by not dwelling on worries and self-criticism. 3. Get physically active. Research suggests that exercise helps prevent heart disease, immune system problems, eases pain and improves mood. 4. Help others. Research indicates that those who help experience less depression, are calmer and enjoy better health. 5. Get enough sleep. Research shows that poor sleep is linked to greater risk of depression and anxiety, increased risk of heart disease and stroke and greater likelihood of accidents. Tips for improving sleep includes regular bedtime, watching caffeine intake, sleep medications and getting help for insomnia. 6. Create joy and satisfaction. Research suggests that positive feelings can support resiliency, boost ones ability to solve problems and help fight disease. Tips for creating joy and satisfaction include humor, music, arts, nature, massage and other relaxation techniques. 7. Eat well. Research indicates that the right foods can boost energy, lower the risk of developing certain diseases, provide fuel to your brain and counteract the impact of stress on one’s body. 8. Take care of your spirit. Research suggests that religious beliefs, practice and attending services combat stress and may help fight disease. 9. Deal better with hard times. Research studies found that people who problem-solved in a stressful situation felt less depressed and those who focused on the positives in their lives suffered less from painful memories. 10. Get professional help if you need it. Treatment is effective. 80 percent of people treated for depression improve. It may seem that there’s nothing you can do about your stress level. The bills aren’t going to stop, there will never be more hours in the day, and your career or family responsibilities will always be demanding. But you have a lot more control than you might think. In fact, the simple realization that you’re in control of your life is the foundation of stress management. • Do you explain away stress as temporary (“I just have a million things going on right now”) even though you can’t remember the last time you took a breather? • Do you define stress as an integral part of your work or home life (“Things are always crazy around here”) or as a part of your personality (“I have a lot of nervous energy, that’s all”). • Do you blame your stress on other people or outside events, or view it as entirely normal and unexceptional? 1. Avoid unnecessary stress. Not all stress can be avoided, and it’s not healthy to avoid a situation that needs to be addressed. You may be surprised, however, by the number of stressors in your life that you can eliminate. – Learn how to say “no” – Know your limits and stick to them. Whether in your personal or professional life, refuse to accept added responsibilities when you’re close to reaching them. – Avoid people who stress you out – If someone consistently causes stress in your life and you can’t turn the relationship around, limit the amount of time you spend with that person or end the relationship entirely. – Take control of your environment – If the evening news makes you anxious, turn the TV off. If traffic’s got you tense, take a longer but less-traveled route. If going to the market is an unpleasant chore, do your grocery shopping online. – Avoid hot-button topics – If you get upset over religion or politics, cross them off your conversation list. If you repeatedly argue about the same subject with the same people, stop bringing it up or excuse yourself when it’s the topic of discussion. – Pare down your to-do list – Analyze your schedule, responsibilities, and daily tasks. If you’ve got too much on your plate, distinguish between the “shoulds” and the “musts.” Drop tasks that aren’t truly necessary to the bottom of the list or eliminate them entirely. 2. Alter the situation. If you can’t avoid a stressful situation, try to alter it. Figure out what you can do to change things so the problem doesn’t present itself in the future. Often, this involves changing the way you communicate and operate in your daily life. – Express your feelings instead of bottling them up. If something or someone is bothering you, communicate your concerns in an open and respectful way. If you don’t voice your feelings, resentment will build and the situation will likely remain the same. – Be willing to compromise. When you ask someone to change their behavior, be willing to do the same. If you both are willing to bend at least a little, you’ll have a good chance of finding a happy middle ground. – Be more assertive. Don’t take a backseat in your own life. Deal with problems head on, doing your best to anticipate and prevent them. If you’ve got an exam to study for and your chatty roommate just got home, say up front that you only have five minutes to talk. – Manage your time better. Poor time management can cause a lot of stress. When you’re stretched too thin and running behind, it’s hard to stay calm and focused. But if you plan ahead and make sure you don’t overextend yourself, you can alter the amount of stress you’re under. 3. Adapt to the stressor. If you can’t change the stressor, change yourself. You can adapt to stressful situations and regain your sense of control by changing your expectations and attitude. – Reframe problems. Try to view stressful situations from a more positive perspective. Rather than fuming about a traffic jam, look at it as an opportunity to pause and regroup, listen to your favorite radio station, or enjoy some alone time. – Look at the big picture. Take perspective of the stressful situation. Ask yourself how important it will be in the long run. Will it matter in a month? A year? Is it really worth getting upset over? If the answer is no, focus your time and energy elsewhere. – Focus on the positive. When stress is getting you down, take a moment to reflect on all the things you appreciate in your life, including your own positive qualities and gifts. This simple strategy can help you keep things in perspective. 4. Accept the things you can’t change. Some sources of stress are unavoidable. You can’t prevent or change stressors such as the death of a loved one, a serious illness, or a national recession. In such cases, the best way to cope with stress is to accept things as they are. Acceptance may be difficult, but in the long run, it’s easier than railing against a situation you can’t change. – Don’t try to control the uncontrollable. Many things in life are beyond our control— particularly the behavior of other people. Rather than stressing out over them, focus on the things you can control such as the way you choose to react to problems. – Look for the upside. As the saying goes, “What doesn’t kill us makes us stronger.” When facing major challenges, try to look at them as opportunities for personal growth. If your own poor choices contributed to a stressful situation, reflect on them and learn from your mistakes. – Share your feelings. Talk to a trusted friend or make an appointment with a therapist. Expressing what you’re going through can be very cathartic, even if there’s nothing you can do to alter the stressful situation. – Learn to forgive. Accept the fact that we live in an imperfect world and that people make mistakes. Let go of anger and resentments. Free yourself from negative energy by forgiving and moving on. 5. Make time for fun and relaxation. You can reduce stress in your life by nurturing yourself. If you regularly make time for fun and relaxation, you’ll be in a better place to handle life’s stressors when they inevitably come. – Set aside relaxation time. Include rest and relaxation in your daily schedule. Don’t allow other obligations to encroach. This is your time to take a break from all responsibilities and recharge your batteries. – Connect with others. Spend time with positive people who enhance your life. A strong support system will buffer you from the negative effects of stress. – Do something you enjoy every day. Make time for leisure activities that bring you joy, whether it be stargazing, playing the piano, or working on your bike. – Keep your sense of humor. This includes the ability to laugh at yourself. The act of laughing helps your body fight stress in a number of ways. 6. Adopt a Healthy Lifestyle. – Exercise regularly. Physical activity plays a key role in reducing and preventing the effects of stress. Make time for at least 30 minutes of exercise, three times per week. Nothing beats aerobic exercise for releasing pent-up stress and tension. – Eat a healthy diet. Well-nourished bodies are better prepared to cope with stress, so be mindful of what you eat. Start your day right with breakfast, and keep your energy up and your mind clear with balanced, nutritious meals throughout the day. – Reduce caffeine and sugar. The temporary “highs” caffeine and sugar provide often end with a crash in mood and energy. By reducing the amount of coffee, soft drinks, chocolate, and sugar snacks in your diet, you’ll feel more relaxed and you’ll sleep better. – Avoid alcohol, cigarettes, and drugs. Self-medicating with alcohol or drugs may provide an easy escape from stress, but the relief is only temporary. Don’t avoid or mask the issue at hand; deal with problems head on and with a clear mind. – Get enough sleep. Adequate sleep fuels your mind, as well as your body. Feeling tired will increase your stress because it may cause you to think irrationally. • Exercise now…and again. A 10-minute walk can improve your mood for two hours. The key to sustaining mood benefits is to exercise regularly. • Choose activities that are moderately intense. Aerobic exercise undoubtedly has mental health benefits, but you don’t need to sweat strenuously to see results. • Find exercises that are continuous and rhythmic (rather than intermittent). Walking, swimming, dancing, stationery biking, and yoga are good choices. • Add a mind-body element. Activities such as yoga and tai chi rest your mind and pump up your energy. You can also add a meditative element to walking or swimming by repeating a mantra (a word or phrase) as you move. • Start slowly, and don’t overdo it. More isn’t better. Athletes who over train find their moods drop rather than lift. – Eat foods rich with Omega-3 fatty acid. Foods rich in certain omega-3 fats called EPA and DHA can give your mood a big boost. The best sources are fatty fish such as salmon, herring, mackerel, anchovies, sardines and some cold water fish oil supplements. – Boost your B vitamins. Deficiencies in B vitamins such as folic acid and B-12 can trigger depression. To get more, take a B-complex vitamin supplement or eat more citrus fruit, leafy greens, beans, chicken, and eggs. – Consider taking a chromium supplement. Some depression studies show that chromium picolinate reduces carbohydrate cravings, eases mood swings, and boosts energy. Supplementing with chromium picolinate is especially effective for people who tend to overeat and oversleep when depressed. • Set a regular bedtime. Go to bed at the same time every night. Choose a time when you normally feel tired, so that you don’t toss and turn. Try not to break this routine on weekends when it may be tempting to stay up late. If you want to change your bedtime, help your body adjust by making the change in small daily increments, such as 15 minutes earlier or later each day. • Wake up at the same time every day. If you’re getting enough sleep, you should wake up naturally without an alarm. If you need an alarm clock to wake up on time, you may need to set an earlier bedtime. As with your bedtime, try to maintain your regular wake–time even on weekends. • Nap to make up for lost sleep. If you need to make up for a few lost hours, opt for a daytime nap rather than sleeping late. This strategy allows you to pay off your sleep debt without disturbing your natural sleep–wake rhythm, which often backfires in insomnia and throws you off for days. • Be smart about napping. While taking a nap can be a great way to recharge, especially for older adults, it can make insomnia worse. If insomnia is a problem for you, consider eliminating napping. If you must nap, do it in the early afternoon, and limit it to thirty minutes. • Fight after–dinner drowsiness. If you find yourself getting sleepy way before your bedtime, get off the couch and do something mildly stimulating to avoid falling asleep, such as washing the dishes, calling a friend, or getting clothes ready for the next day. If you give in to the drowsiness, you may wake up later in the night and have trouble getting back to sleep. • Make your bedroom more sleep friendly. Keep your noise down and your room dark and cool. If you can’t avoid or eliminate noise from barking dogs, loud neighbors, city traffic, or other people in your household, try masking it with a fan, recordings of soothing sounds, or white noise. White noise can be particularly effective in blocking out other sounds and helping you sleep. Getting the support you need plays a big role in your mental health. On your own, it can be difficult to maintain perspective and sustain the effort required to beat illnesses, such as depression. But the very nature of these illnesses makes it difficult to reach out for help. However, isolation and loneliness make mental illnesses even worse, so maintaining your close relationships and social activities are important. The thought of reaching out to even close family members and friends can seem overwhelming. You may feel ashamed, too exhausted to talk, or guilty for neglecting the relationship. Your loved ones may be a good source of help. 10 Tips for reaching out and building relationships. 1. Talk to one person about your feelings. 2. Help someone else by volunteering. 3. Have breakfast or lunch with a friend. 5. Accompany someone to the movies, a concert or a small get-together. 6. Call or email an old friend. 7. Go for a walk with a workout buddy. 8. Schedule a weekly dinner date. 9. Meet new people by taking a class or joining a club. 10 .Confide in a counselor, therapist or clergy member. If you have a family member or friend who has been diagnosed with a serious mental illness, you are probably wondering what you can do to help. Although new forms of therapy, medications and community services have enabled many individuals to lead full, independent lives, support from family, friends and peers remains an essential element in the recovery process. There are many ways you can help someone with a mental illness navigate the treatment system and work towards recovery. As in any relationship, emotional and practical support is always needed. Occasionally, family and friends participate in someone’s recovery by offering transportation, financial and housing assistance. Whatever form it takes, your support, compassion and respect matter. • Educate yourself about the diagnosis, symptoms and possible side effects from each treatment. 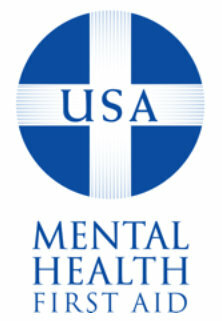 Mental Health America of the Heartland, public libraries and the Internet are good resources to learn about mental illnesses and treatment options. • Recognize that your family member or friend may be scared and confused after receiving a diagnosis. Though some people are relieved to receive a diagnosis and actively seek treatment, it may feel devastating to others and bring on stressful feelings. • Listen carefully to your family member or friend and express your understanding back to him or her. Recognize the feelings he or she is experiencing and don’t discount them, even if you believe them to be symptoms of the illness. • Encourage your family member or friend to become an active member with his or her treatment team to gain knowledge about what treatments and services will help in his or her recovery. • Recognize that it may take time for your family member or friend to find the proper medications and dosages that work. • Understand that recovery from mental illness isn’t simply a matter of “just staying on one’s medications.” Self-esteem, social support and a feeling of contributing to society are also essential elements in the recovery process. • Encourage your family member or friend to speak immediately to his or her healthcare provider about any problems related to medications.